Magna e-Vehicles in China. Magna announced its intention to form two new joint ventures with Beijing Electric Vehicle Co. Ltd (BJEV) for complete vehicle manufacturing as well as engineering of electric vehicles. BJEV, a subsidiary of the BAIC Group for electric cars, and Magna, a global automotive supplier and the world’s leading brand-independent vehicle contract manufacturer, gathered to sign term sheets for the new joint ventures. Executives from both companies were joined by Mr. Wu Zhenglong, Governor of Jiangsu Province and officials from Zhenjiang at a signing ceremony held in Nanjing. Over the coming months, Magna and BJEV will work with authorities to implement legally binding joint-venture agreements which will govern the operations of these two joint ventures. 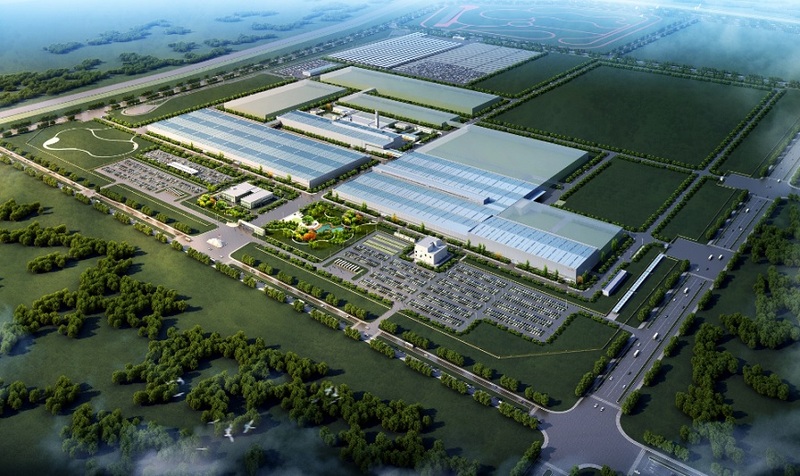 The engineering and manufacturing joint ventures are expected to take over an existing BAIC manufacturing facility in Zhenjiang, Jiangsu Province, where the first production vehicles are planned for 2020. The plant has the capacity to build up to 180,000 vehicles per year. The joint ventures will also be set up to offer engineering and complete vehicle manufacturing capacity to other potential customers. In April 2018, BAIC Group and Magna announced they will jointly develop a next generation smart electric vehicle architecture for the Chinese market. It is expected that this vehicle architecture will be transferred to the engineering joint venture and will form the platform of the new electric vehicles to be launched in the joint venture. China is currently the world’s leading market for electric mobility. By 2020, the number of all-electric cars on China’s roads is forecasted to reach around five million. Both joint ventures are subject to a number of conditions including agreement on final joint venture agreements and obtaining all necessary regulatory approvals. Magna Steyr. We have more than 172,000 entrepreneurial-minded employees dedicated to delivering mobility solutions. We are a technology company and one of the world’s largest automotive suppliers with 340 manufacturing operations and 93 product development, engineering and sales centres in 28 countries. Our competitive capabilities include body exteriors and structures, power and vision technologies, seating systems and complete vehicle solutions. Our common shares trade on the Toronto Stock Exchange (MG) and the New York Stock Exchange (MGA).